What is crystallized honey, and is it safe to eat? Why has it happened and can I turn my honey into liquid again? 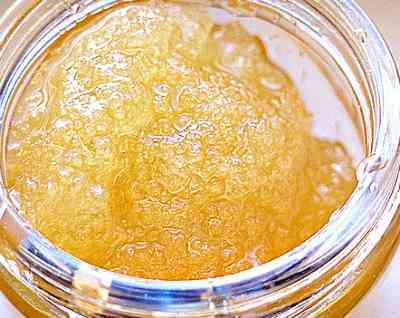 If you have just picked up a jar of honey, and noticed hard crystals or the presence of what looks like lots of white air bubbles, you may be wondering whether to throw the jar away. Don’t do that! It would be such a waste! Yes indeed, some people are concerned that the honey has gone off, and will no longer be fit for consumption. However, the good news is that honey keeps for a long, long, long, long time! In one sense, this should not be a surprise. The anti-bacterial properties of honey are very well documented and researched. 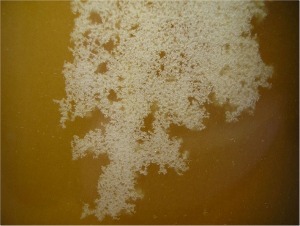 In short, it's very, very difficult for bacteria to grow in honey. Great news! If you have concerns, then I really do hope this article will reassure you, with an explanation of what has happened, and practical steps you can take. Also, you may be interested to learn (if you didn't know already) that beekeepers can control the crystallization process to create 'spun honey'. Crystalized honey is simply honey, which has spontaneously crystallized. You may open a jar of honey, and find cloudiness, or that part of it has turned into crystals. Please note, it is not the same as some products misleadingly labelled as granulated honey -please check the ingredients! Does It Mean The Honey Is Faulty Or No Longer Fresh? Not at all. In certain circumstances, crystallization can occur very quickly after harvest – perhaps just a few days or weeks, and so there is no correlation between freshness and the crystallizing process. Is Crystallized Honey Pure Or Is It Contaminated With Some Other Substance? Crystallization can also be stimulated by the presence of tiny particles of pollen, wax or propolis, and again, the presence of these may depend on the type of honey, and even how the honey has been handled whilst being processed for sale. In fact, raw, organic, crystallized honey is popular and favoured by many, especially if it has not been heated, filtered or processed in any way. Raw, unfiltered honey can crystallize naturally and quickly, and with intensity. Being unfiltered, it will contain within it some traces of natural substances such as pollen. Above: This product is sold as raw, unprocessed, crystallized organic honey. Sometimes, beekeepers may offer this type of honey intentionally, but this time with an element of processing, and namely by blending one part crystallized honey with nine parts liquid honey. The mixture is then stored to 57 degrees Fahrenheit. 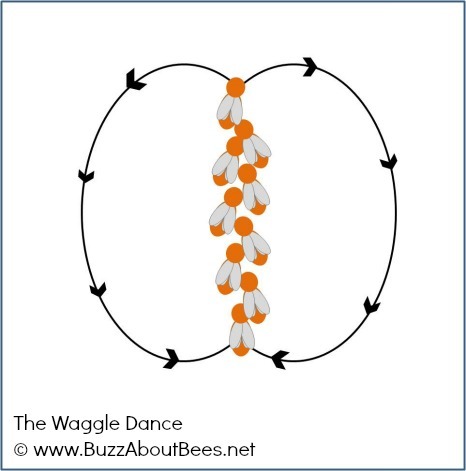 Beekeepers may use the process of controlled crystallization in order to make a more spreadable, that is, to make ‘creamy honey' - or 'soft set' honey. The process of heating, cooling and stirring to make creamy honey is known as ‘Dyce’s Method’. This method controls the size of the honey crystals so that they are small, rather than large (as in crystallized honey). As stated above, crystallization can be stimulated by the presence of tiny particles of pollen, wax or propolis. Crystallization can also occur in reaction to cool temperatures, which speed up the crystallization process. Crystallization occurs more quickly between 55 and 63 degrees Fahrenheit. Reportedly, Below 41 degrees Fahrenheit (5 °C), the honey will not crystallize. However, whether or not honey crystallizes, or how quickly it does so, will also depend on the type of honey, and its sugar composition. Honeys high in fructose may take a very long time to crystallize, whereas honeys high in glucose may crystallize more quickly. Is Crystallized Honey Safe To Eat Or Is It Bad For You? Yes, crystallized honey is perfectly safe to eat. However, if it has gone so hard that you are finding it too difficult to spread, then you can return it to its liquid state once more. How Can I Return Crystallized Honey To Its Liquid State? simply place the jar into a pan of hot water for a few minutes, and stir until the crystals have dissolved. However, if you repeat this process too often, the taste and colour may deteriorate, and it may be better to eventually throw the honey away if this process is repeated too often. An alternative solution could be to remove as much honey as you need at a time from the jar, and reheat smaller quantities. You may also seek to store the honey in a warmer cupboard. However, do not store your honey in hot conditions, as this will also cause the honey to degrade. How Can I Prevent Honey From Crystallizing? Ideally, store the honey at a temperature of around 70 degrees Fahrenheit! Alternatively, carefully choose the honey you select. Raw honey which has come straight from the honey comb, is less likely to crystallise than processed honey, but it is often more expensive. Honey will keep indefinitely in a jar. Read more facts about honey. Learn about the complications in producing organic honey. Did you know, not all that is labelled as honey, really is honey? More information here, including how to buy honey ethically. Try your hand at cooking with honey! A general introductory page with lots of links to resources. Is honey healthy, or is it just hype?